Hi everyone! I am gearing up for spring and summer. Just as an update for this season, I only have one available spot for blossom sessions right now and am also booking for Mommy and Me sessions! Today I just wanted to blog about a few portraits of my daughter. These were taken in March when it still looked like winter. Yep, there doesn’t have to be green grass or leaves on the trees; I will take pictures any time of the year! I just need good light! 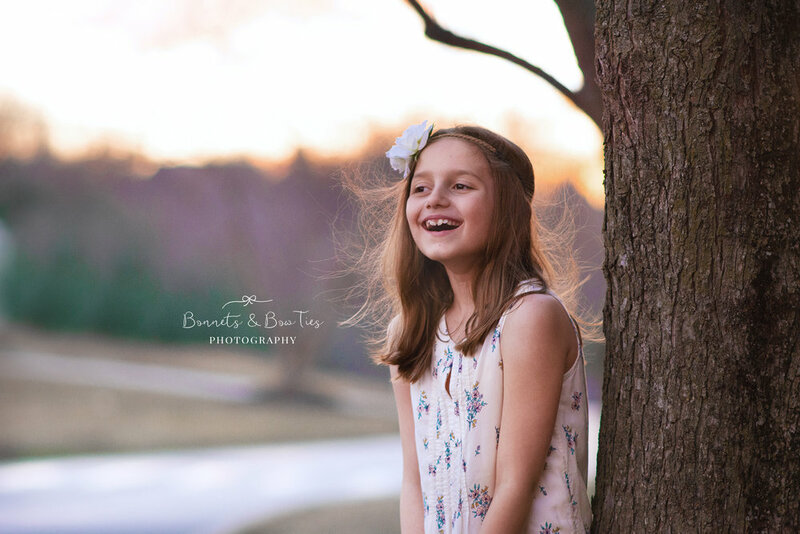 As a family and children’s photographer, I can work with you and your schedule and create gorgeous portraits, year round! For instance, these photos of my daughter were taken one night in March when the temp was about 60 degrees; the yard you see is actually the school parking lot. I just helped her pose herself and snapped until it was dark. Of course Sophia looks radiant as always!